Did Reverend Willie Maxwell cause the deaths of his two wives, brother, cousin and stepdaughter in 1970's Alabama through voodoo, or by paying off hit men to do the job for him? Harper Lee hoped Maxwell's story would be her own In Cold Blood. Perhaps, if she had managed to finish it, it would have been. 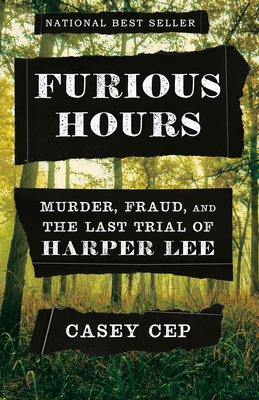 Casey Cep has done her research and, in Furious Hours: Murder, Fraud, and the Last Trial of Harper Lee, she's crafted a page turner that's half true-crime thriller and half an insightful and surprising look at what Harper Lee's life was like after her early catapult into literary stardom.